High-Speed Printer offers UV curing technology. 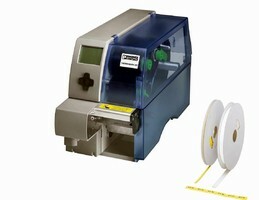 Thermal Transfer Printer prints on heat-shrink wire markers. Model Thermomark W1 printer allows users to dictate overall length of marking sleeve and uses continuous reels of heat-shrink wire markers in white or yellow. 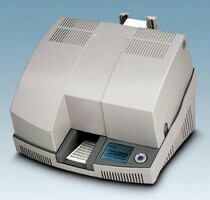 Features include 300 dpi printhead, 2 in. per second print speed, perforating cutter, and Clip Project marking control software. Ink ribbons are available in black, blue, and red. 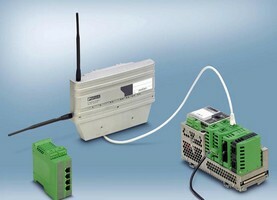 PoE Modules handle industrial applications. UHF Radio Modems offer FCC-licensed wireless communication. Able to support multiple protocols and multiple host stations using same frequencies, Digital UHF Wireless Radio Modems include collision avoidance, packet-error checking, and security with AES 128-bit encryption. Each radio is equipped with remote network diagnostics, as well as intuitive software that allows network owner full control and management of system. 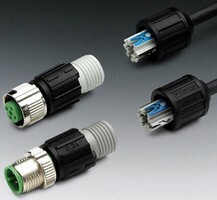 IDC-Based Plugs offer flexible wire selection. Connection System is rated IP65/67 for harsh environments. 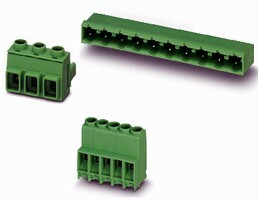 Fuse Terminal Blocks provide branch circuit protection. Media Converters withstand corrosive environments. Suited for use in shipbuilding and marine industries, PSI-MOS Profibus Fiber-Optic media converters feature conformal-coated printed circuit boards for protection against salt water, moisture, and dust. Devices are approved for use in UL Class 1, Division 2 hazardous locations where volatile flammable materials are normally found and contained, but can become hazardous through abnormal conditions.